As time goes on, you may find that you want to delete existing Aeros, Master Aeros, Projects - and other things in Aero. You can delete or make inactive almost anything in Aero– here's how you do that. To delete a single Aero, go into edit mode and click the Delete button. If you get a warning that there is time associated with the Aero, go into edit mode and change the Status to Canceled. To delete an email while you're reading it, click the Reply button and choose Delete. You can also use the method above. Deleting an email in Aero will not delete it in your Gmail or Office 365 inbox. To delete a lot of Aeros, use the Batch Update Aeros feature to change the Status of multiple Aeros to Canceled. Make sure that you check the box 'Mark as Changed' so that future updates of Master Aeros doesn't change the status. You can't delete time entries. You can edit them so that the time equals zero. If you're syncing time to QBO, you can delete time entries there– but deleting time in QBO does not delete them in Aero. To delete a Master Aero, find the Master Aero and click View to edit it. Scroll down to the bottom of the screen and click the Delete button. Click Save and Close. This will delete all occurrences that have not yet been started, as well as the Master Aero. To delete an Aero Template, find the template you want to delete and click the View button to edit it. Scroll down to the bottom of the screen and click the Delete button. Deleting an Aero Template will not affect any Aeros or Master Aeros that were created using that Template. You can't delete a Company in Aero, but you can make it inactive. Find the Company you want to make inactive and click the View button to edit it. Uncheck the Active box and click Save and Close. The company will no longer appear in any of the Company drop-down menus. If there are Aeros that are assigned to that Company, there will be a number instead of a name in the Company field. If your Aero account is synced to a QBO account, the Company will be made inactive in QBO as well. You can't delete a Contact in Aero, but you can make it inactive. Find the Contact you want to make inactive and click the View button to edit it. Uncheck the Active box and click Save and Close. The Contact will no longer appear in any of the Contact drop-down menus. If there are Aeros that are assigned to that Contact, there will be a number instead of a name in the Contact field. Find the project you want to delete and click the View button to edit it. Change the Status to Canceled and Save and Close. The project will no longer appear on the Manage Projects screen, unless you specifically look for projects with a status of canceled. Canceled projects will not appear on any Project drop-down list. Find the Email Template that you want to delete and click the View button to edit it. Click the Delete button at the top of the screen. You can't delete a Procedure in Aero, but you can make it inactive. Find the Procedure you want to make inactive and click the View button to edit it. scroll down to the bottom of the screen and uncheck the Active box. Save and Close. If there is an Aero that points to an inactive procedure, users will still be able to see the procedure. You can't delete an email address in Aero. 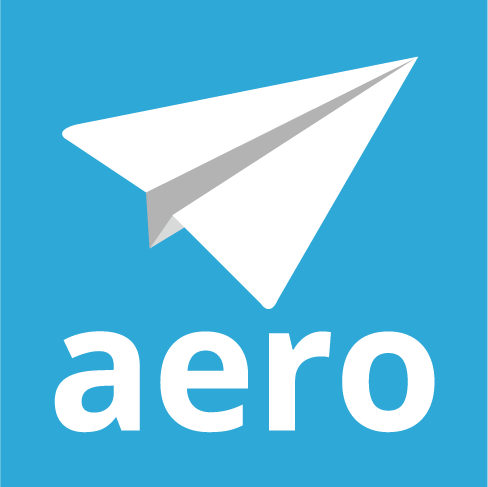 You can stop emails from an email address from being imported into Aero. Find the email you want to exclude from import and click the View button to edit it. Check the Exclude Email Import box and Save and Close. You can't delete Team Members in Aero, but you can make them inactive. Find the Team Member you want to make inactive and click the View button to edit. Uncheck the Active box and Save and Close. The Team Member will no longer be able to log into Aero. The Team Member will no longer appear in any of the Assigned To drop-down menus. The Team Member will no longer count towards your number of users in your subscription. If there are Aeros that are assigned to that Team Member, there will be a number instead of a name in the Assigned To field. If you re-activate the Team Member, their password will be reset to a new temporary password and they will receive a new invitation to log into Aero. You can't delete Accounting Software Types in Aero, but you can make them inactive. Find the Software Type you want to make inactive and click the View button to edit. Uncheck the Active box and Save and Close. Inactive Software Types will not show up in dropdown menus. If an inactive Software Type is assigned to a Company, it will appear as a number, not a name. You can't delete Aero Types in Aero, but you can make them inactive. Find the Aero Type you want to make inactive and click the View button to edit. Uncheck the Active box and Save and Close. Inactive Aero Types will not show up in dropdown menus. If an inactive Aero Type is assigned to an Aero, Master Aero, or Aero Template, it will appear as a number, not a name. You can't delete Project Types in Aero, but you can make them inactive. Find the Project Type you want to make inactive and click the View button to edit. Uncheck the Active box and Save and Close. Inactive Project Types will not show up in dropdown menus. If an inactive Project Type is assigned to a Project, it will appear as a number, not a name. You can't delete Procedure Types in Aero, but you can make them inactive. Find the Procedure Type you want to make inactive and click the View button to edit. Uncheck the Active box and Save and Close. Inactive Procedure Types will not show up in dropdown menus. If an inactiveProcedure Type is assigned to a Procedure, it will appear as a number, not a name. You can't delete Hat in Aero, but you can make them inactive. Find the Hat you want to make inactive and click the View button to edit. Uncheck the Active box and Save and Close. Inactive Hats will not show up in dropdown menus. If an inactive Hat is assigned to an Aero, Master Aero, or Aero Template, it will appear as a number, not a name.